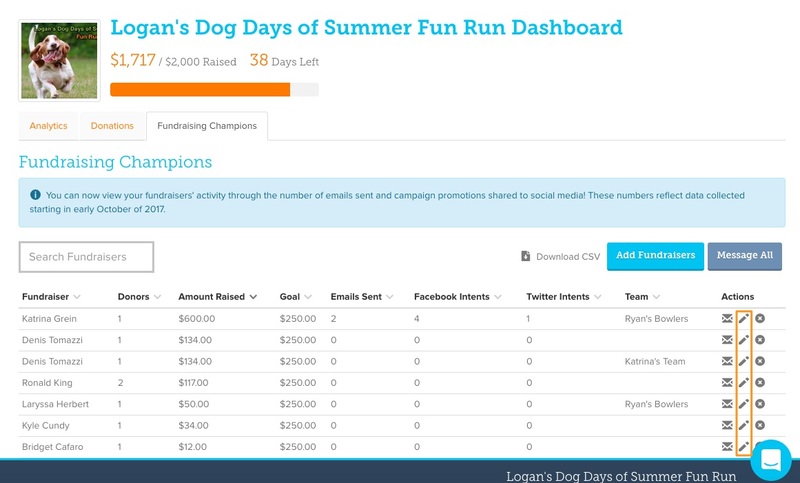 From the "Overview Tab" of your "Admin Dashboard" navigate to the event that you're fundraisers are participating in by clicking the "Events" box. From the "Events" tab, click the "Manage" button for the event you would like to work on. This will take you to your "Event Manager" where you'll want to navigate to the tab that says "Fundraising Champions" at the top of the page. 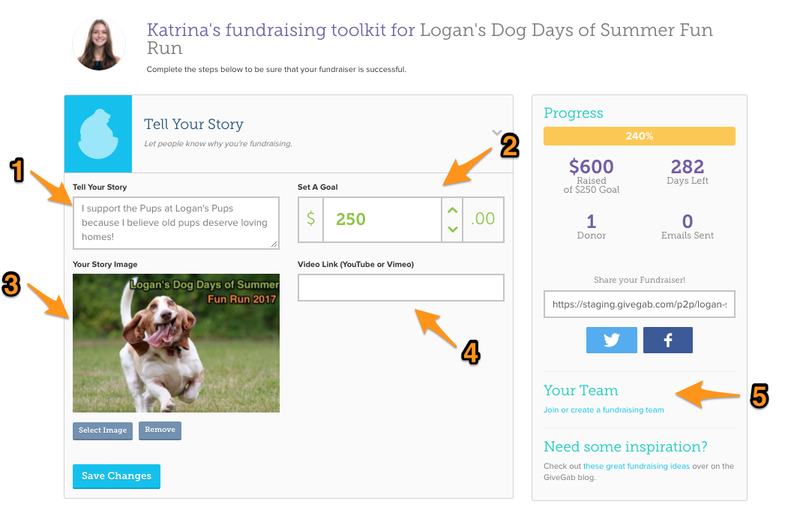 From the "Fundraising Champions" Tab of your "Event Manager" click the Pencil Icon under the "Actions" Column next to the fundraiser's name to edit their profile. Your Story Image: Here you can add a photo of your fundraiser volunteering, attending an event, or anything else that speaks to your event's mission!